This Project presented some of the more intriguing fabrication challenges for forming non-planar multi-dimensional curvature surfaces. 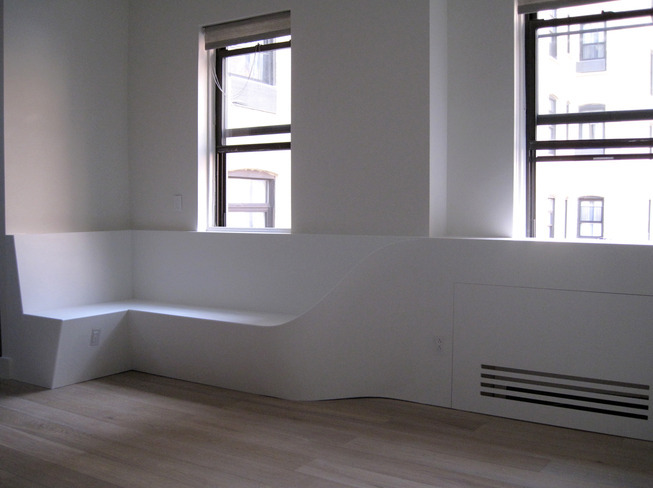 The shelf and attached banquette wrap this New York apartment with elegant thermoformed corian surfaces. The pure white provides a excellent backdrop to fully take advantage of the ample natural sun light entering the skylights.